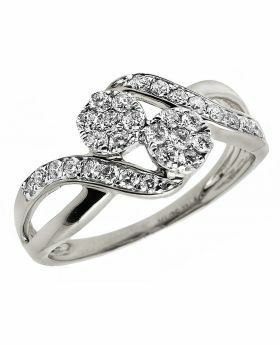 Simplicity in elegance, this beautiful diamond enagement ring is as beautiful as your loved one. 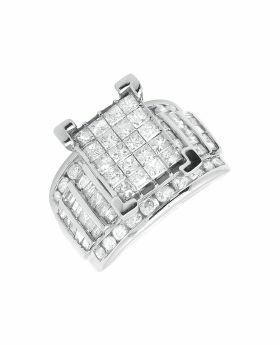 Beautifully crafted in 14k white gold, the eye is drawn to the 7MM diameter cluster of shimmering diamonds. 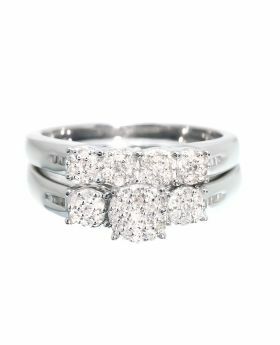 The center of invisible-set princess-cut quad is embraced in a halo frame of smaller accent diamonds in shared-prong setting. 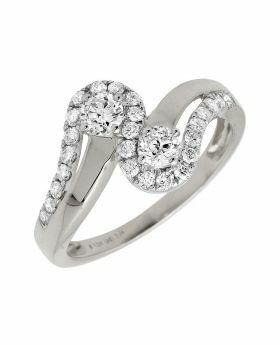 The ring's 4mm wide twisted shank sparkles with shimmering round-cut diamonds in a channel-set, completing the look. 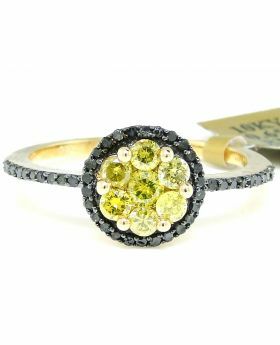 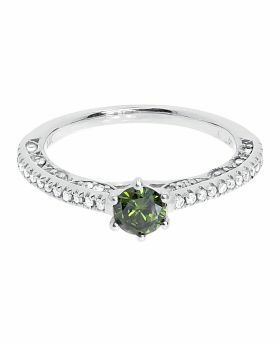 Certain to become a her favorite, this ring captivates SI2-I1 clarity, H-I color 0.33ct diamonds and a polished shine. 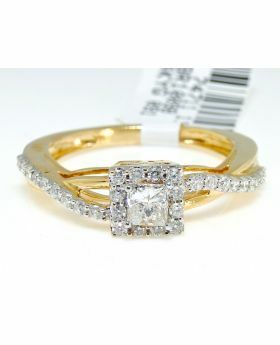 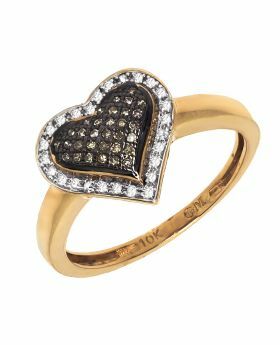 This thoughful ring is caged back for her comfort and weighs approx 2.5 grams. 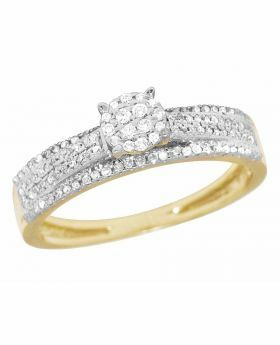 A style she is certain to adore.